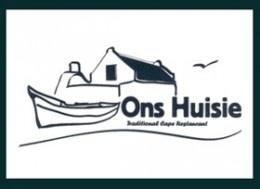 "With an outstanding array of seafood traditional meals"
We bid you welcome to "Ons Huisie" Restaurant (Our Small Home) with an illustrious flamboyant history regarding the development of Bloubergstrand. 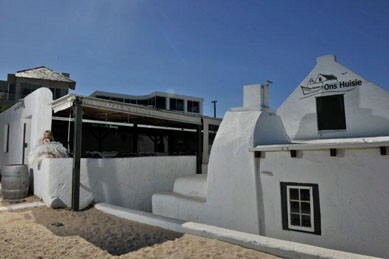 Probably the first dwelling of Frederick Louis Stadler, who after the Battle of Blouberg in 1806, owned most the property known as Bloubergstrand. No exact building date could be established for the original residence. A local artist of the time, Thomas Bowler, drew a striking pencil sketch of the house when visiting the Stadler family in 1853. 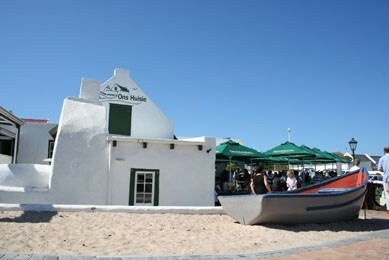 At the time the 6th Grandson of Frederick Loius, Hendrik Louis Stadler was the owner of "Ons Huisie" and his three sons, Frikkie, Rozier and Johannes, were pioneers and fishermen of Bloubergstrand. 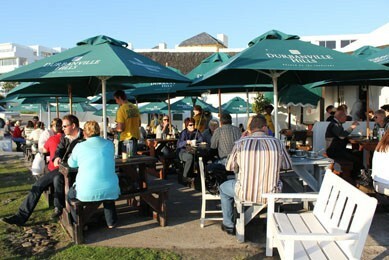 Other prominent families recorded in the history of the restaurant "Ons Huisie" and Bloubergstrand were the Boonzaier family. 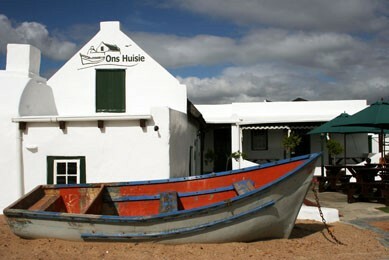 The owners of "Ons Huisie" have restored this illustrious heritage capturing the atmosphere of the fisherman’s cottage as it was. Shut your eyes, hear the waves, savor the smell of the sea, and let your imagination transport you to that harsh and simple, yet beautiful and fulfilling era when the shiny bodies of the fish filled the nets. 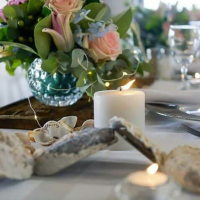 The menu is comprised of West Coast traditional dishes, born out of tough times in a stunning yet harsh environment. 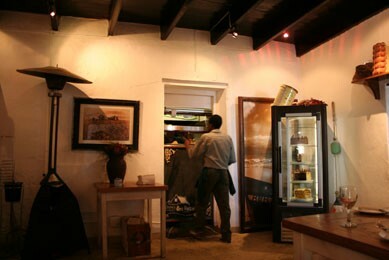 The words on the menu reflect the Afrikaans culture deeply imbedded in the history of "Ons Huisie". 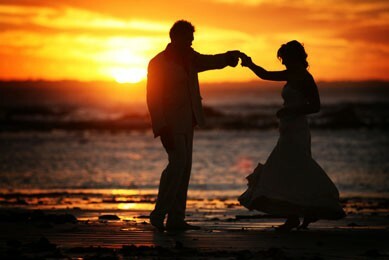 Unwind as the music transports you to familiar places to some, while new and exciting to others. West Coast lifestyle is evident in the menu, with an excellent selection of traditional seafood dishes. 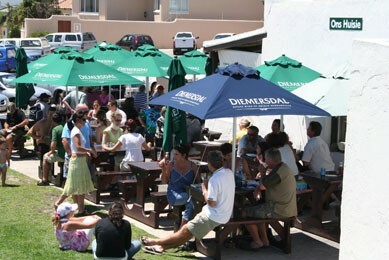 Ons Huisie is the ideal venue for year-end functions, private functions, and weddings, and offers special Fish or spit braais. 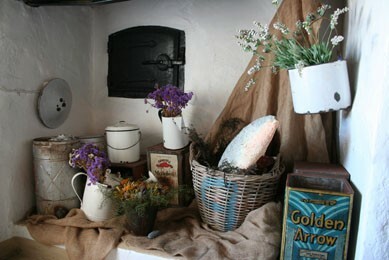 We also have a fully equipped kiddies play area. The old favourite! 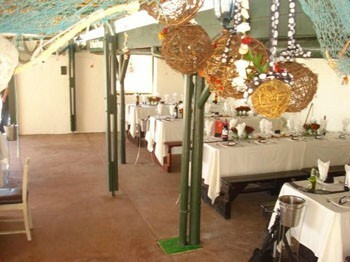 Served with vegetables of the day, rice, mango chutney and beetroot. Calamari, prawns, line fish and mussels in a creamy curry sauce, served with rice and a poppadum. Pan fried prawns in lemon cream, set on a bed of rice, accompanied with vegetables of the day. Layers of grilled vegetables and feta wrapped in phyllo pastry, drizzled with basil pesto, served with a side salad. 15 September 2016 - Celebrate Spring with our brand new Cocktail Menu. 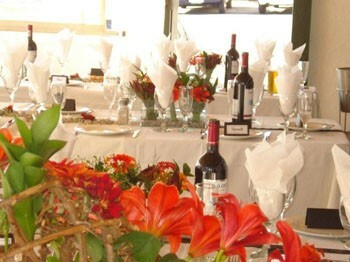 There is something for everyone, so pick your poison, unwind and enjoy the splendid views! 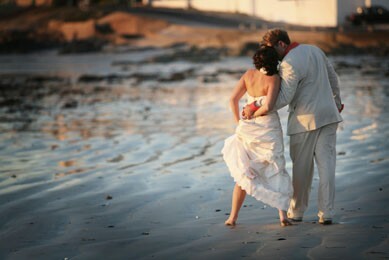 If you would like to incorporate your love of the ocean into your wedding day, look no further. 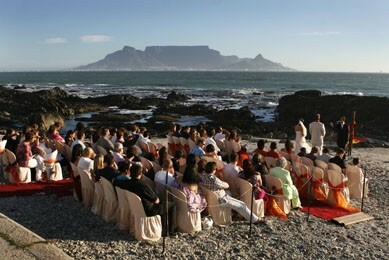 Ons Huisie Is the perfect setting to say your “I do's”! 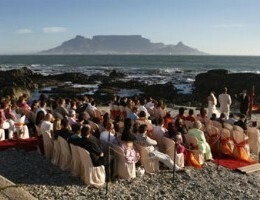 Contact us for our latest Wedding Packages.